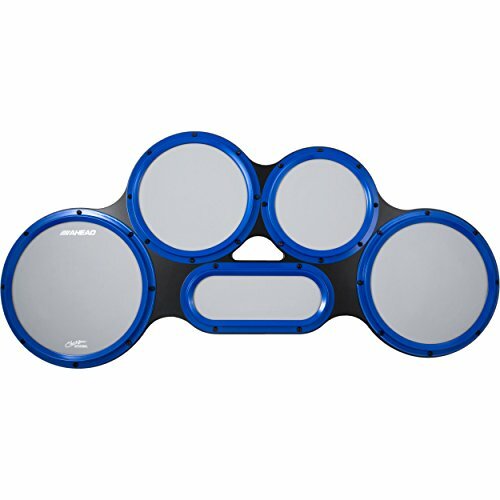 Perfect for the marching tenor drummer, these pads were designed and laid out to exactly match the feel and placement of marching quads. Designed for practicing quads. Spacing is to scale with 1/4" rim-to-rim drums. Pads are laid out accurately and cut for all playing areas - both standard and scrape. 2 spock pads made with a thinner rubber than the main quad pads have a more authentic feel. 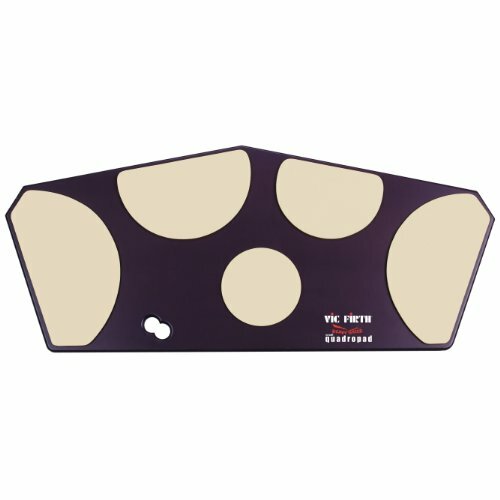 Perfect for the marching tenor drummer, the Heavy Hitter Small Quadropad was designed and laid out to exactly match the ideal set of marching quads. The pads are spaced from the playable part of each drum, just inside of the drum shell's bearing edge. The small Quadropad includes 2 rubber "spock" drum pads, giving the player the ability to set up 5 drum or 6 drum configurations. "Spock" drum pads are made with thinner gum rubber than the 4 main quad drums, allowing for a more authentic feel. Sturdy wooden base features open cell foam rubber for the ultimate in skid-resistance. 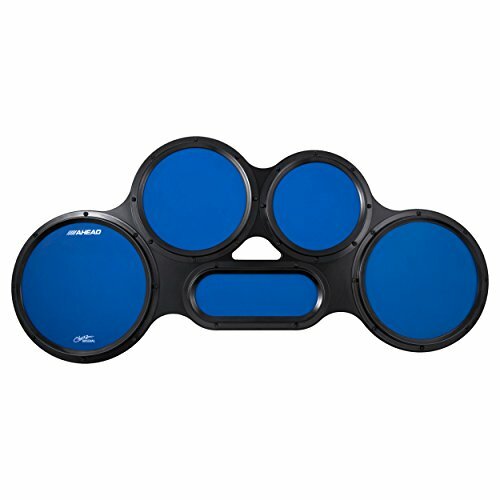 The drum pads included on this set approximate the accurate playing areas of 6", 8", 10", 12" and 13" inch drums, and are laid out accurately and cut for ALL playing areas, both standard and "scrape". Vic Firth Heavy Hitter Quadropads now come with laminates included. Laminates are heavy duty 14 mil Mylar discs that come with a special double-sided adhesive. Simply peel off the backing, and apply to the Vic Firth Heavy Hitter pad of your choice. Because of the easy peal and stick feature, the Laminate can be added, replaced or upgraded at anytime. 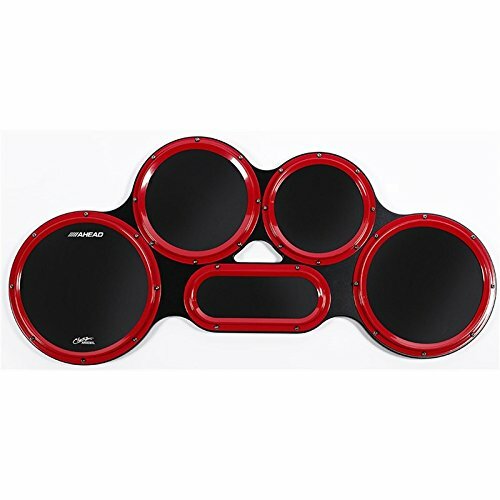 The Ahead AHCTPBLK Chavez Arsenal Black Tenor Practice Pad features black pads and red rims. 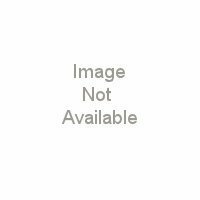 This is a perfect practice companion for the marching tenor player. This pad offers a real counter hoop for rimshots and built-in sound chambers for authenticity and targeting. PERCUSSION SOURCE EXCLUSIVE: Your Percussion Source and Ahead Products have teamed up to offer this limited edition Percussion Source Practice Pad. The Ahead AHCTPBG Tenor Practice Pad features black pads and green rims. This is a perfect practice companion for the marching tenor player. This pad offers a real counter hoop for rim shots and built-in sound chambers for authenticity and targeting. 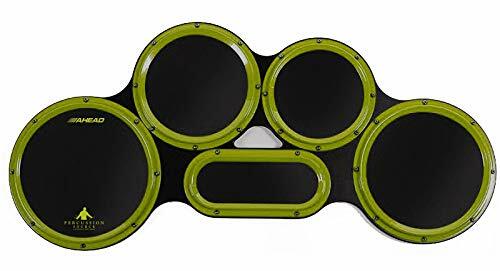 Features: Designed for 4, 5 or 6 pad configurations Black pad surface EXCLUSIVE Green powder-coated, steel S-Hoop that won't crack Sound chambers underneath each pad for additional tone and targeting Soft, rubber, slip-resistant underside Gripping points for mounting on a snare stand Realistic feel, rim shots, and cross-sticking Improves technique without ear damaging volume Length: 46.00 inches Depth: 22.00 inches Weight: 22.00 lbs. 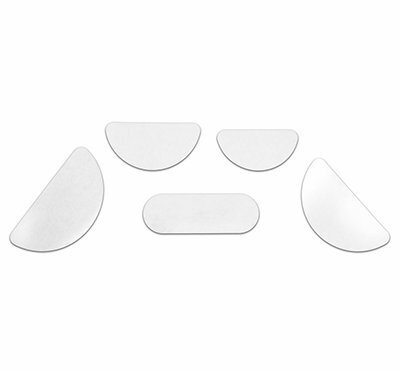 These heavy-duty Mylar shapes can be used to customize your Qudropad to approximate any marching drum configuration. Heavy-duty Mylar shapes can be added to your Quadropad for more authentic feel and response. Eliminates the side-to-side drag that occurs when playing scrapes on gum rubber. Peel-and-stick adhesive lets you add or remove laminates easily.